Opt in to Big Bash Bonanza before 13:45 IST on Match day, and wage at least Rs.200 to get a Free Bet refund if your bet loses. It has been a good season for Aaron Finch’s side. They finished second on the points table riding on some great performances throughout. One of the things that stood for the side was its consistency as it always looked in the hunt for finishing among the best teams in the points table. The team boasts of some of the best performers with the bat and ball this season and rightly deserved their place in the semi-finals of big Bash League 2018-19. Having shown good form towards the end the side would hope to defeat Sydney Sixers and make it to the finals. The opening combination of Marcus Harris and Aaron Finch looks very strong for the side. Both the players have done well in league and would be looking forward to giving a good start to their side. In the middle order the side has some good players in the form which includes Sam Harper and Tom Cooper. Towards the end the likes of Mohammad Nabi and Daniel Christian have the ability to finish things in style. The bowling attack has also done well especially Kane Richardson and Nabi. The side would be expecting good performance from the likes of Chris Tremain, Harry Gurney and Cameron Boyce as they face a tough opponent in the all-important game. It was a terrible loss for Moises Henriques’ team against the Melbourne Stars on the eve of the semifinals. They got bowled out for 74 runs which is their lowest total ever and also the lowest for this season of the league. 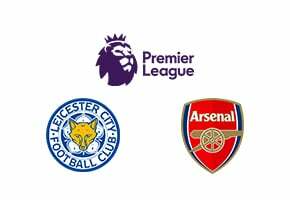 In fact the team has had several heart-breaking defeats already in the season where they have lost games from winning position. There is no more room for complacency and a loss would end their run in the season. Henriques would want his team to put performance of the last game behind and make it to the finals. They have the team to do so and the skipper would like to press hard for a win. Sydney Sixers’ openers Daniel Hughes and Josh Philippe have batted well in the season and the onus would be on them to lay the platform for a win in the next game. The middle order which has suffered from the problem of inconsistency would have to deliver in this game. Moises Henriques and James Vince will need to steer the innings for them to win. Jordan Silk and Tom Curran have to do well in the end overs for the side. The bowlers have had a mixed bag of season. Lloyd Pope and Ben Dwarshuis will need to pick wickets with the new ball. In Sean Abbot and Steve O’Keefe they have too good bowlers. Tom Curran brings in variety to the attack and he would look to do well in the next game. The 2nd semi-final of Big Bash League 2019 would see Melbourne Renegades take on Sydney Sixers at their home ground Docklands Stadium, Melbourne. Both the side registered eight wins from their fourteen games during the league stages and won a game each when they played in the group stages. In terms of form and team strength both the side are at par and this would make the semi-final more interesting. While Sydney Sixers have made it to the finals thrice and won the title once Renegades have never gone beyond the semi-final stage and would like to turn things around this time. Melbourne Renegades would be playing at home and have a slightly better top order which will make them favorites to win this game.